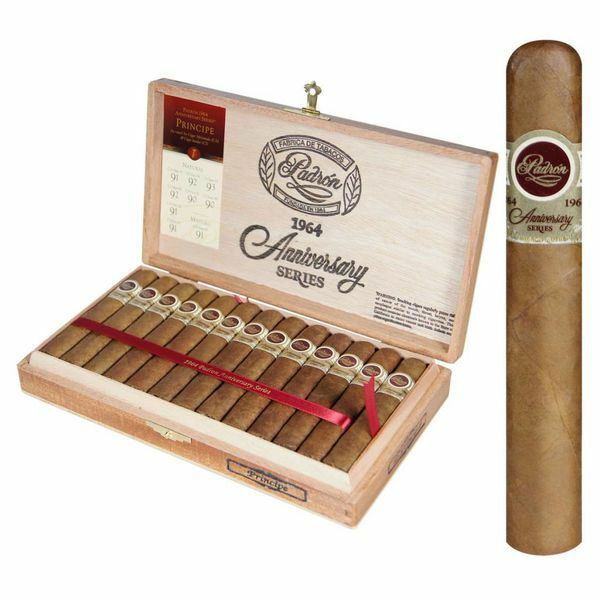 The Padron 1964 Anniversary Series line was introduced in 1994 to commemorate Padron's 30th anniversary. All tobacco used in this limited production series is aged for four years, creating a smooth and complex flavor. The Principe is a Corona sized cigar that packs a wallop. Such a treat!